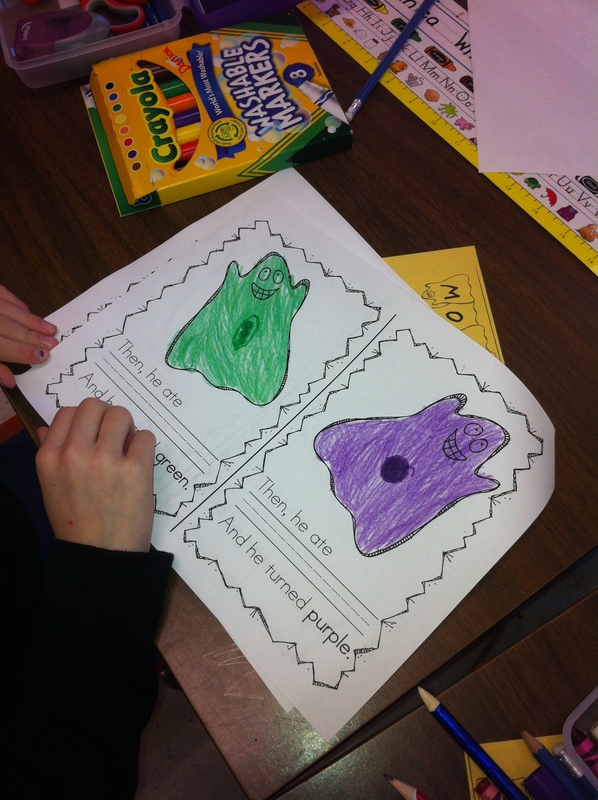 Ghosts | Mrs. Anton's Class! 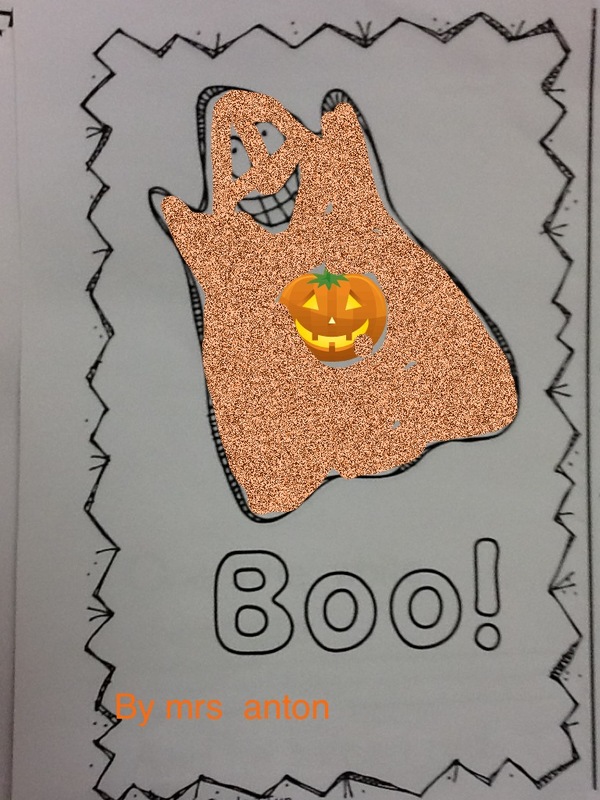 We have been having a bit of fun with ghosts! We have a little ghost named Gus who likes to write to us in the morning! He is very good at hiding Mrs. Anton’s stapler and playing tricks on her! 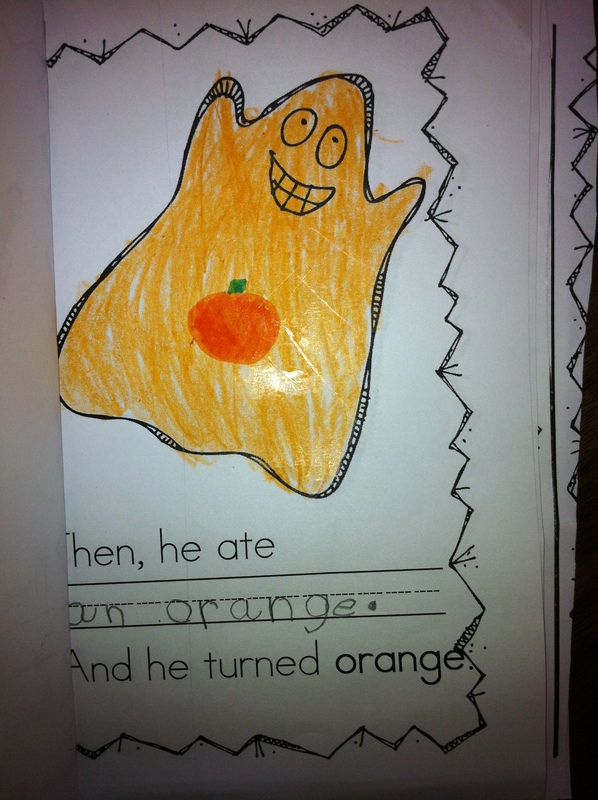 We like to read stories about ghosts for him. 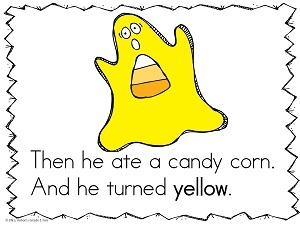 Recently we read a story about a little white ghost who changes colour depending on the food he has eaten! 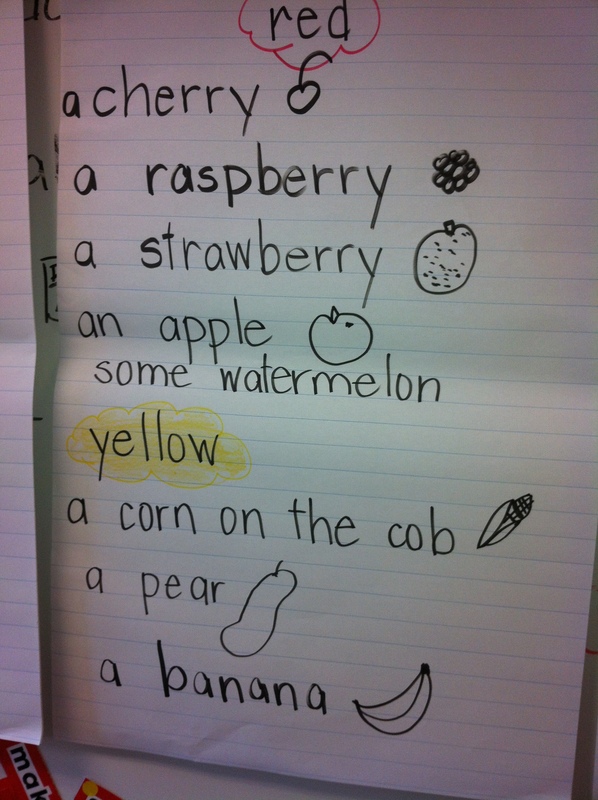 After we read the story, we brainstormed a list of foods that would turn the ghost different colors! 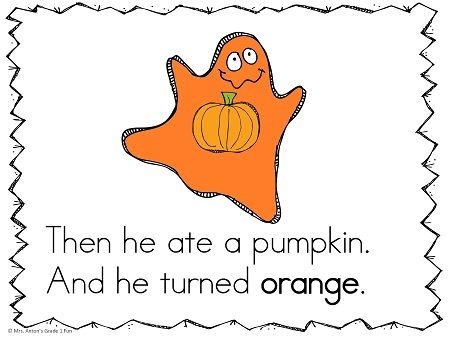 Then the children made their own stories and illustrated them! The children have been having a great time reading each other’s books! We also made the pictures with the iPads. 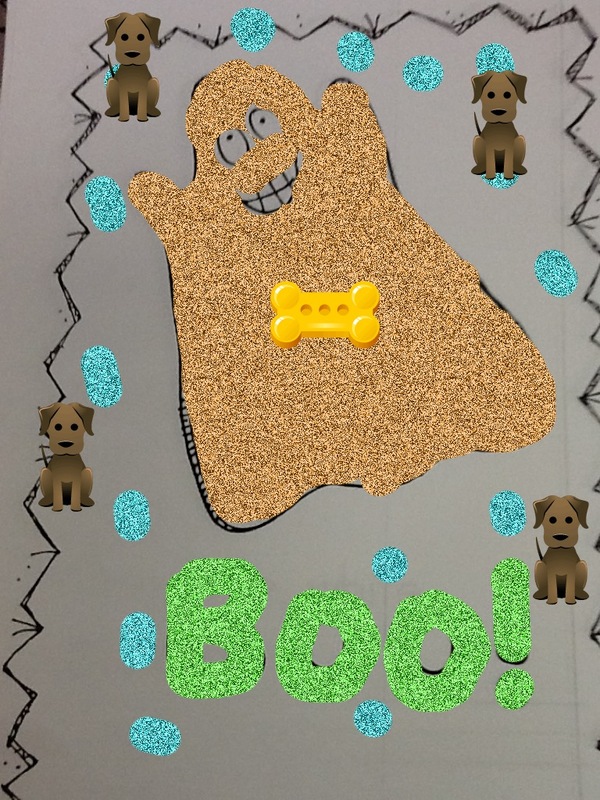 I took a picture of the ghost using the iPad camera and we used that as a new background in Doodle Buddy! 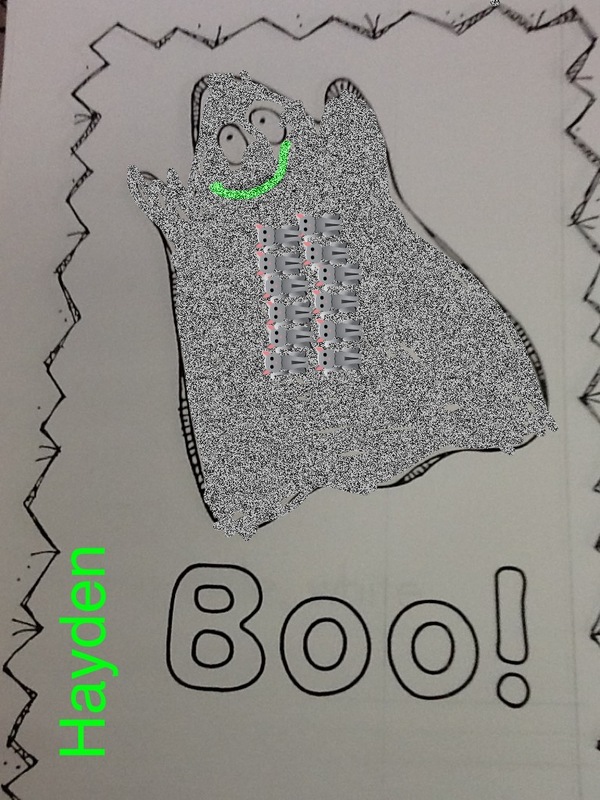 The children then used the stamps to choose the object that turns the ghost a new colour. 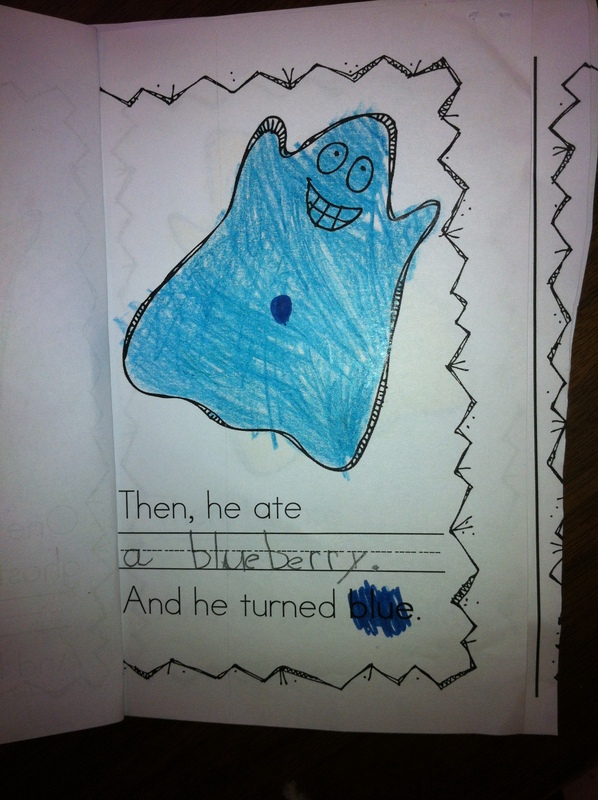 Then they used the glitter pen to fill in the ghost to his new colour! I had to try it too!